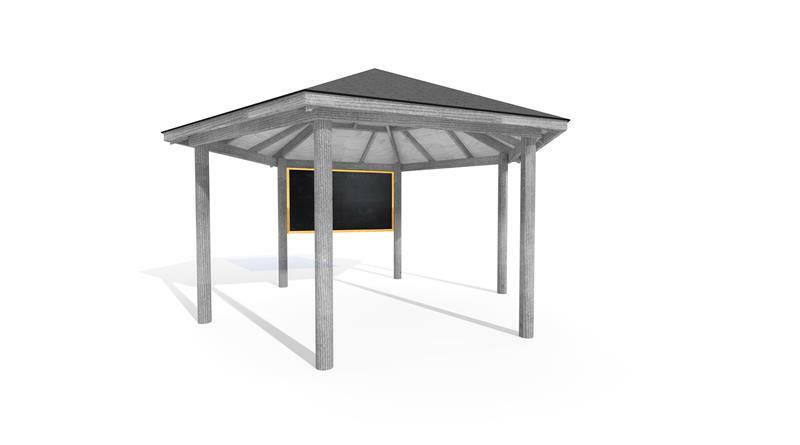 Deep in the garden, wonderful things can be found.... Our Secret Garden Gazebo is a dreamy outdoor classroom and will truly spark children's imaginations as they work surrounded by nature. 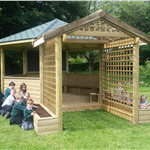 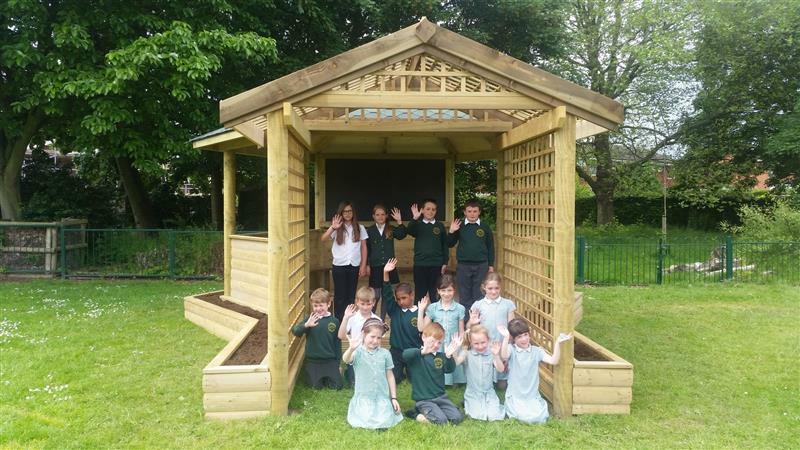 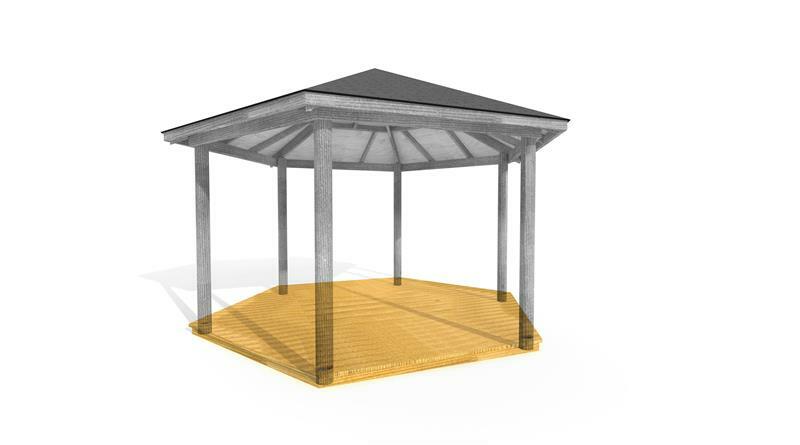 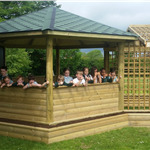 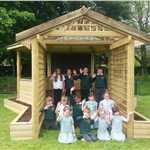 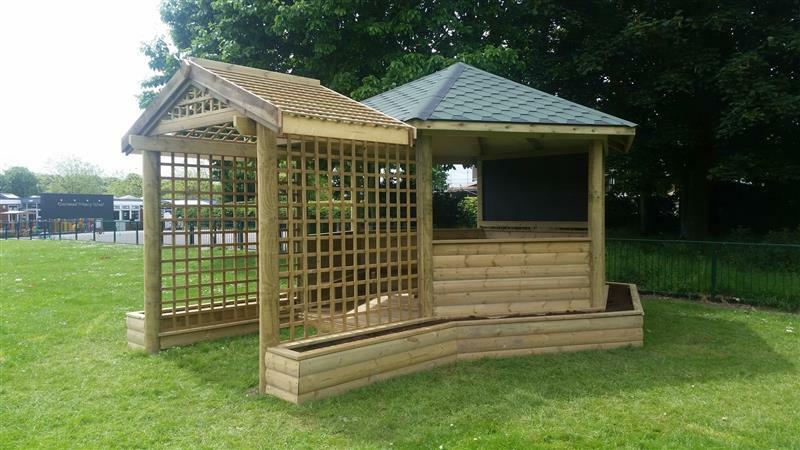 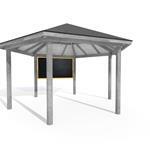 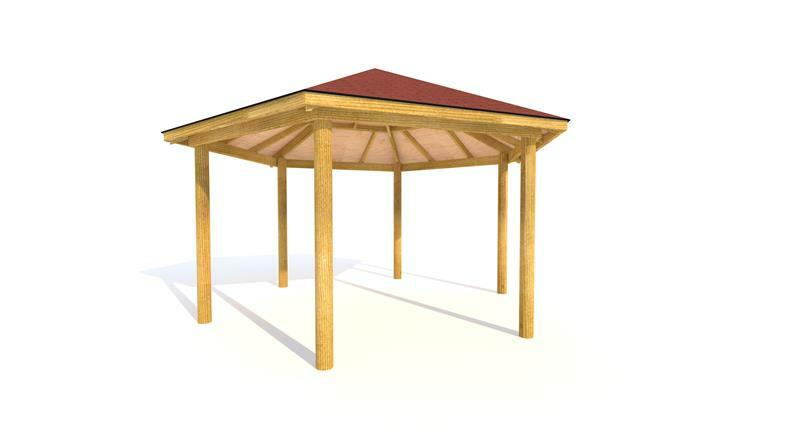 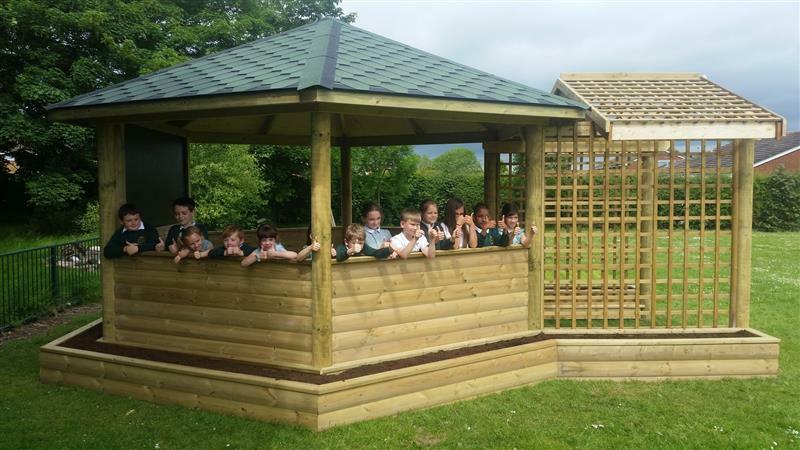 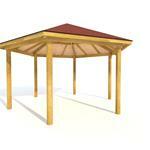 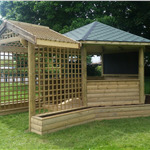 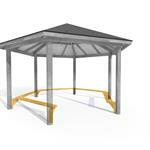 Our Secret Garden Gazebo is the perfect addition to a forest school or a natural area of the playground which is underused due to accessibility issues. 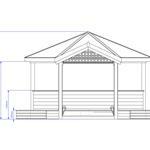 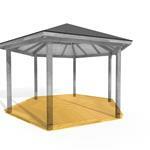 The gazebo has a beautiful trellis arbor entrance that you can make even more eye-catching through the inclusion of flowers and plants of your choosing. 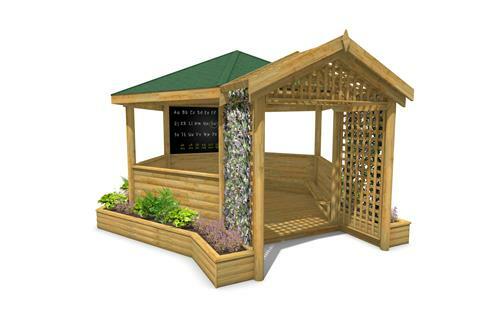 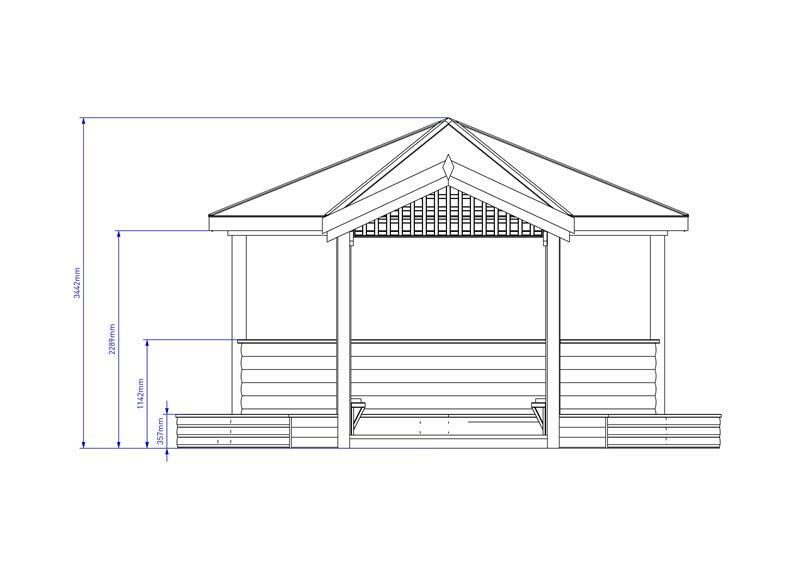 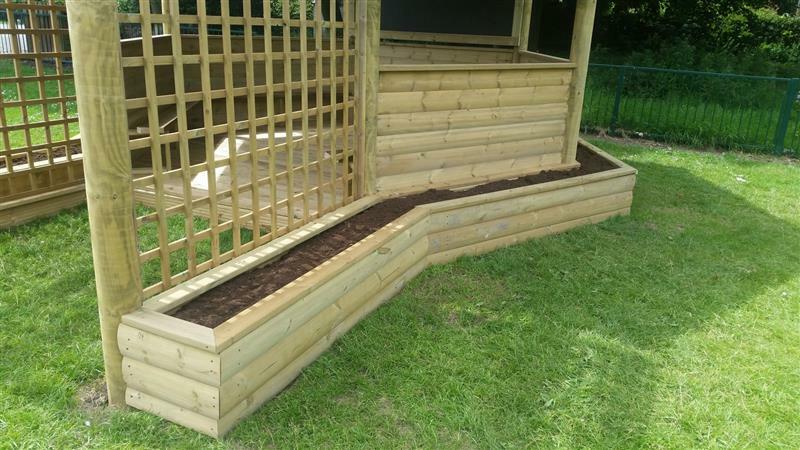 The gazebo itself, is surrounded by planters (7 in total) to enable more natural play opportunities for children; watch as they grow flowers and vegetables to add aesthetic appeal which will make them proud and caring of the structure. 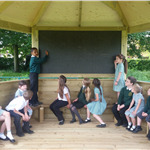 A blackboard is also included along with benches, to create a thriving learning atmosphere which will engage children with key topics along the curriculum. 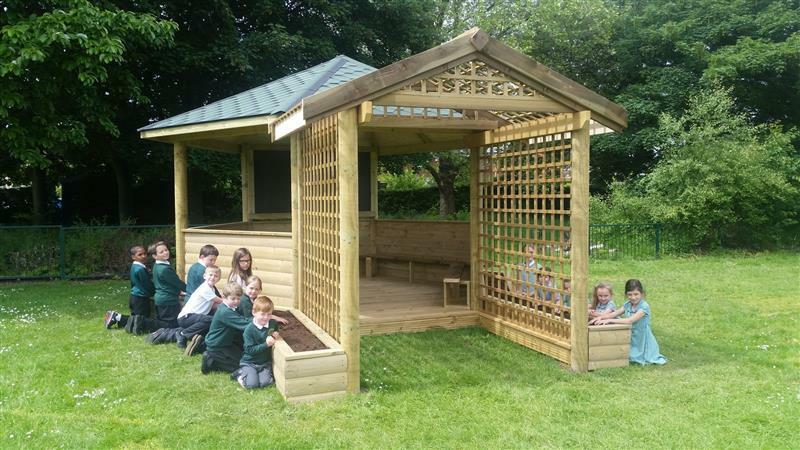 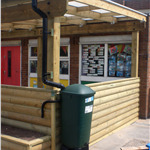 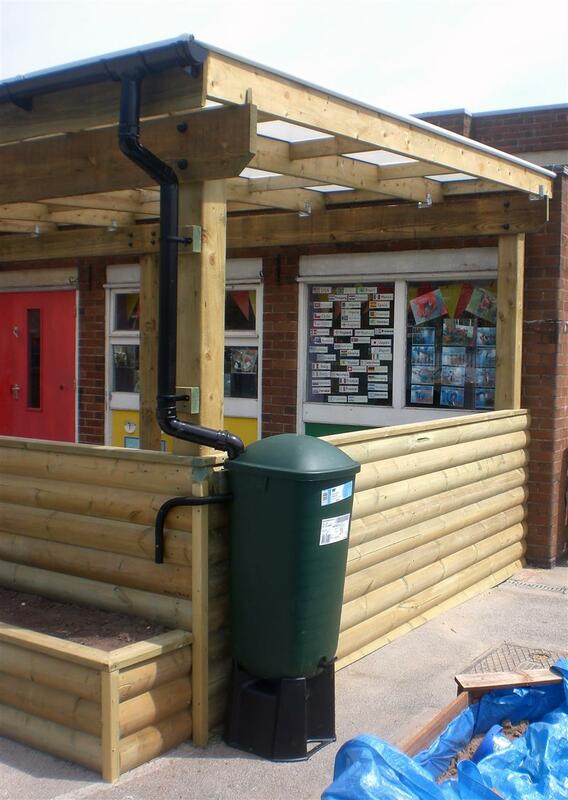 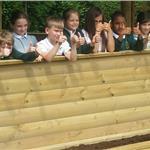 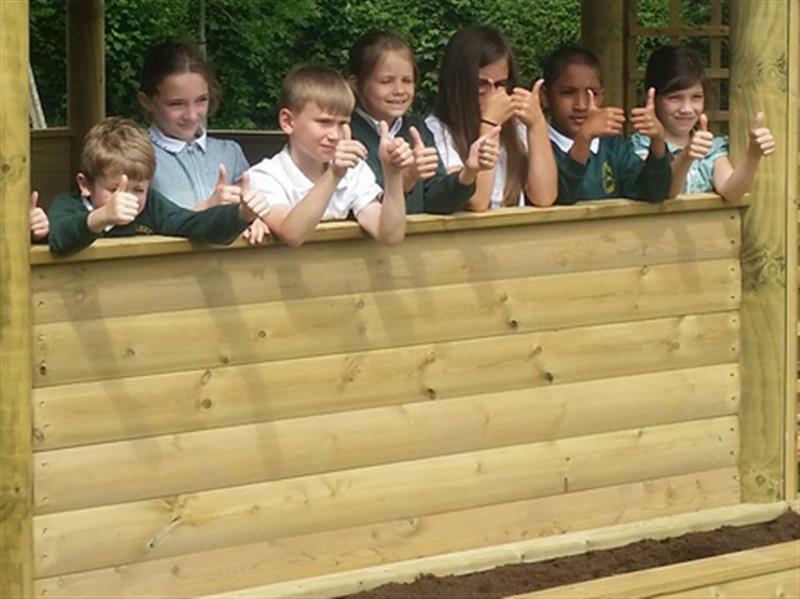 It's time to get imaginative with your outdoor learning! 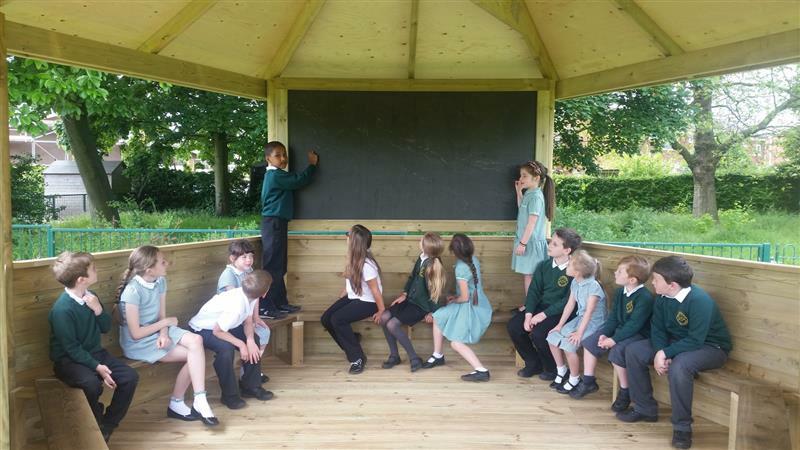 Note: Chalkboards require maintenance to avoid chalk build up. 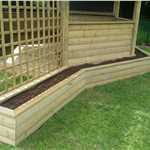 Clean regularly with washing up liquid and a wet cloth, rinsing in between wiping the surface with the cloth.